Runtime 1 hr. 26 min. SynopsisA shocking exorcism spirals out of control, claiming the life of a young woman. Months later, Megan Reed (Shay Mitchell) is working the graveyard shift in the morgue when she takes delivery of a disfigured cadaver. 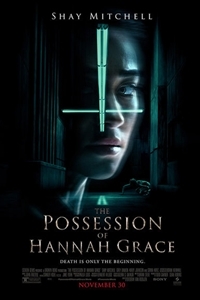 Locked alone inside the basement corridors, Megan begins to experience horrifying visions and starts to suspect that the body may be possessed by a ruthless demonic force.